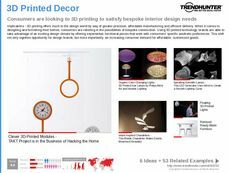 Find Better Ideas, Faster ® with a custom 3d printing service trend report, our PRO Dashboard and 80+ categories of premium trend reports. 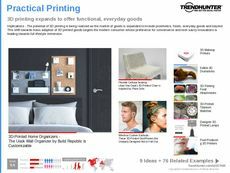 Inside our 3D Printing Service Trend Report, readers will be treated to an enlightening look at the growing availability of 3D printing technology to the average consumer. 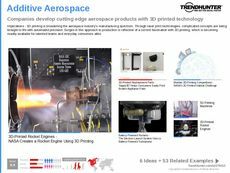 This detailed collection of research reveals new trends in 3D printing services that have revolutionized the manufacturing industry for a wide selection of different offerings. Take advantage of our expert research methods to gain the most detailed understanding of the market trends available today. 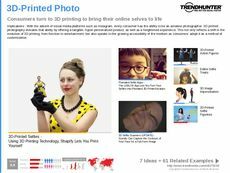 Using our crowdsourced research, readers will be able to spot and track new industry developments related to 3D printer technology and the demand for its availability well ahead of the competition. 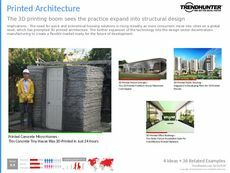 Use the 3D Printing Service Trend Report to effectively recognize new areas of market opportunity just waiting to be capitalized upon.